By no means do I consider myself an expert adviser on the subject of making patterns pop. I’ve made a lot of squares—enough to know that there are no rules, or if there are, they elude me. If I say, “Use high contrast,” along comes a pattern to defy that rule—it’ll show up better in two subtle tints of the same color. (I have such a square in my collection, but can’t readily lay hands on it.) And don’t get me started on “Use complementary colors”—that rarely works. 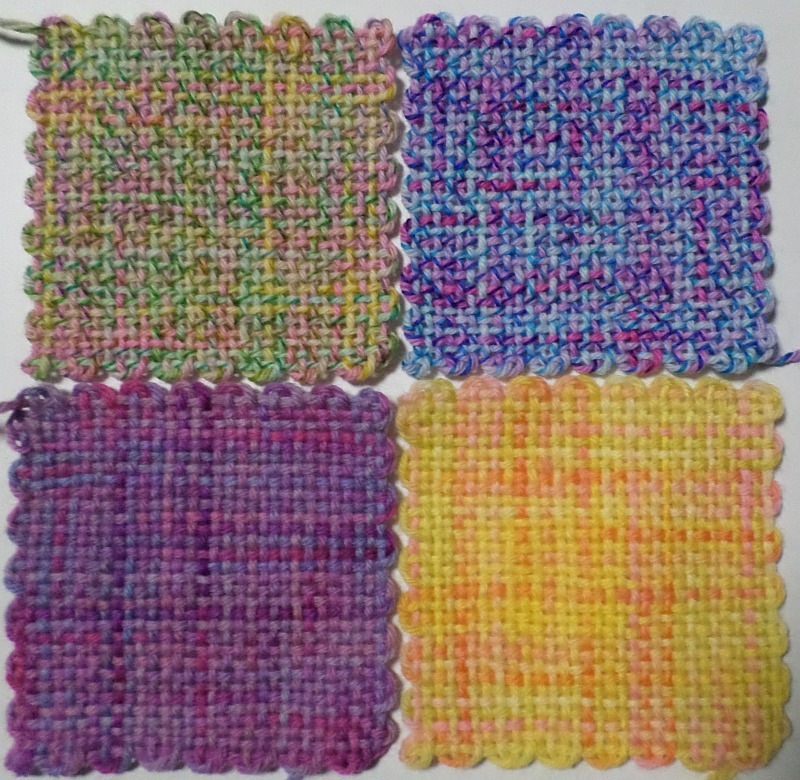 Because I have too many squares and it’s been waaaay too long since I looked at most of them, I’ve decided to limit my subject today to the topic of using variegated yarn in pattern weaves.